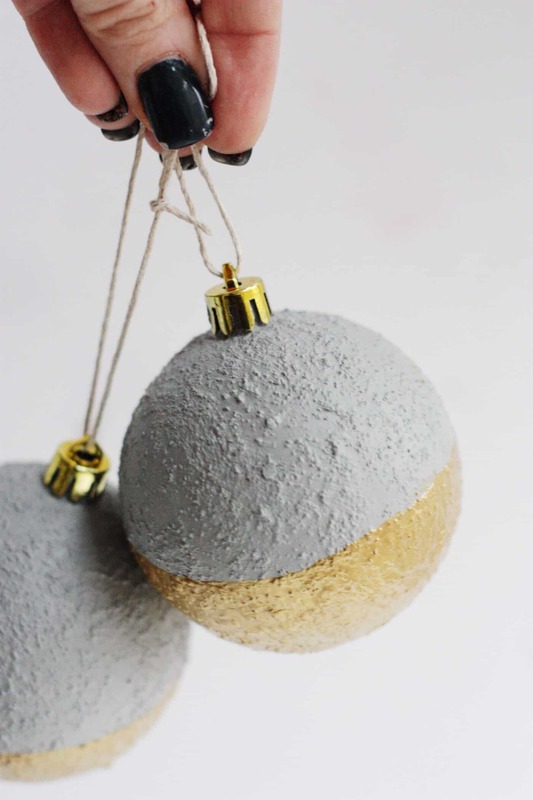 Create modern, unique concrete ornaments for Christmas without the weight of actual cement! 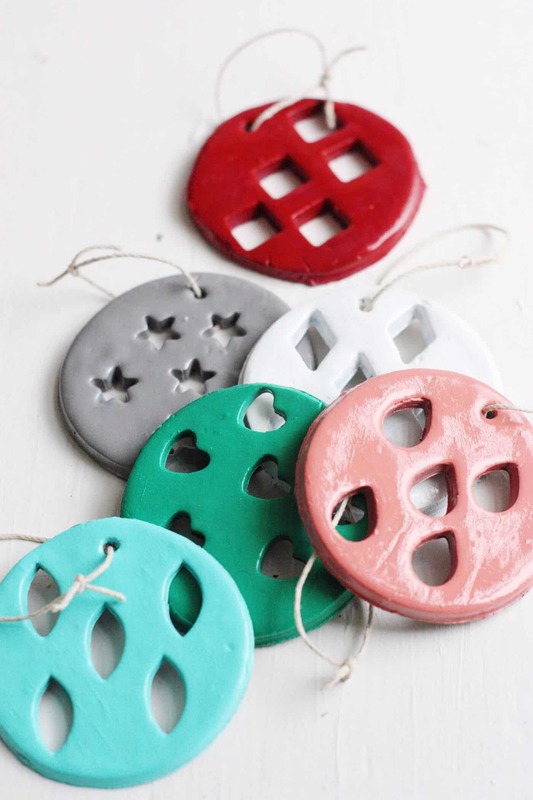 These are so easy to make and look great on your tree. One of my favorite products that came out this year was the Painted Finishes from FolkArt in Concrete. I have used it all year, turning just about everything I could get my hands on into concrete without the mess or weight of actual concrete. 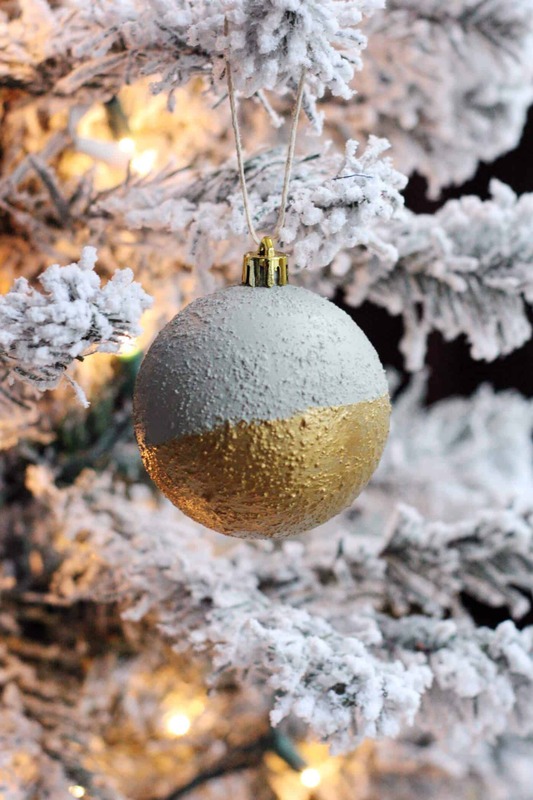 So, when I purchased a new flocked Christmas tree this year that I had to decorate on a budget, of course I turned to my trusty Painted Finishes to upcycle some old ornaments from my Christmas storage and give them a modern update. The result? 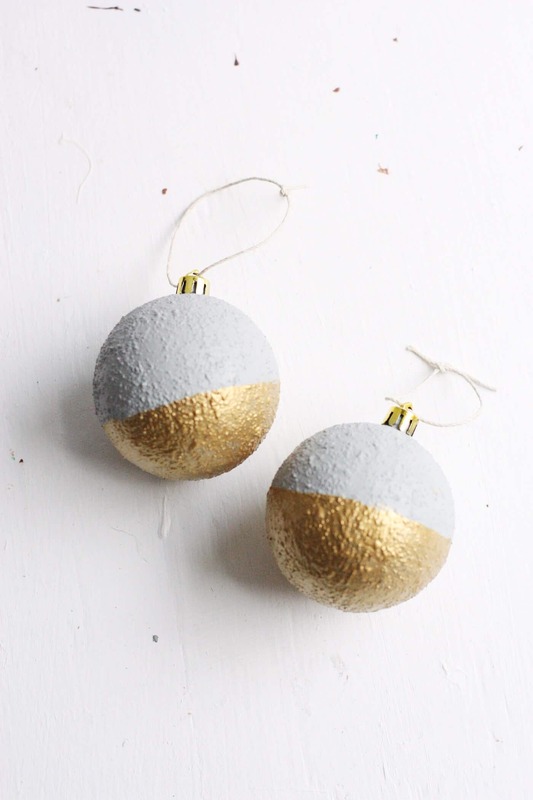 These Gold-Dipped Faux Concrete ornaments! This was the easiest project to make with a big payoff. 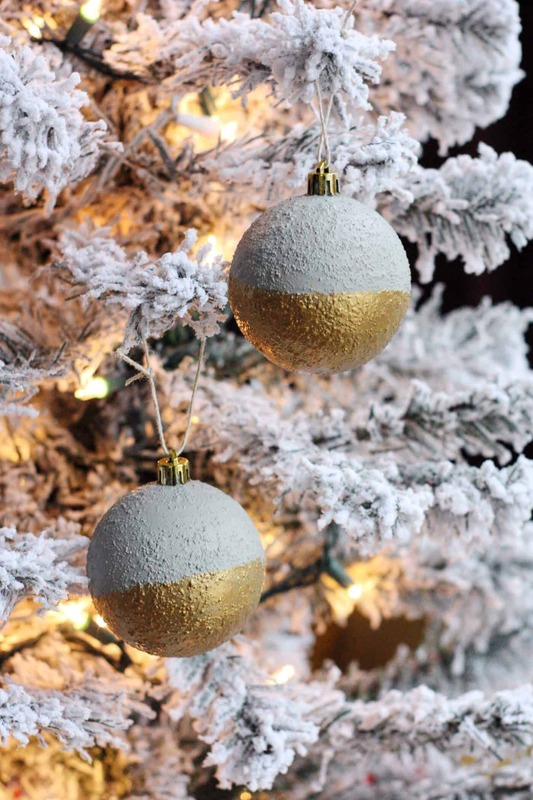 These concrete ornaments went from dull and basic to stylish and full of texture, and I’m obsessed with the statement they make on my tree. Here’s how you make them. 1. 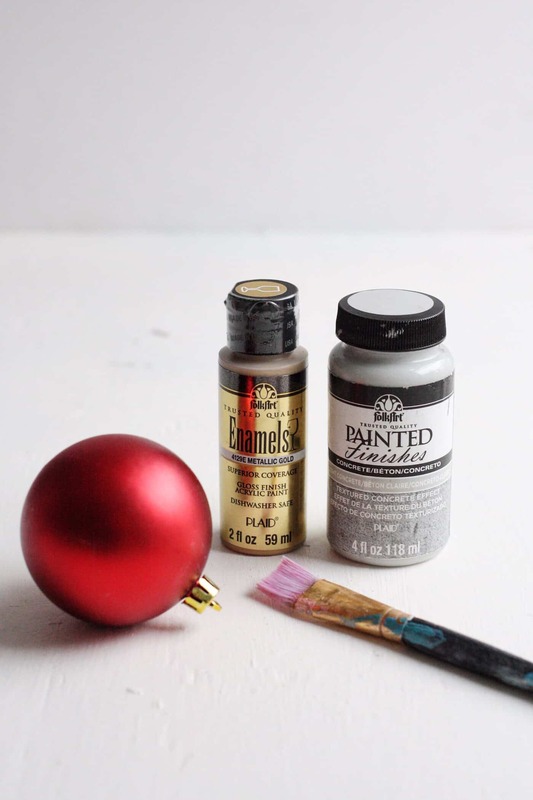 Remove any top from your ornament that you do not want painted. 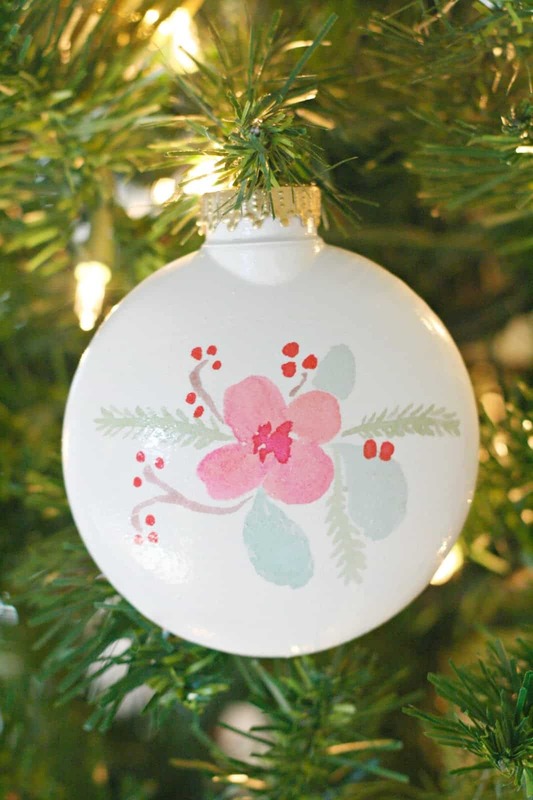 Apply your Painted Finishes to your ornament. (Whenever I use this product I am amazed at how quickly it transforms a surface!) Cover the entire ornament and let dry completely. Apply at least two coats. 2. 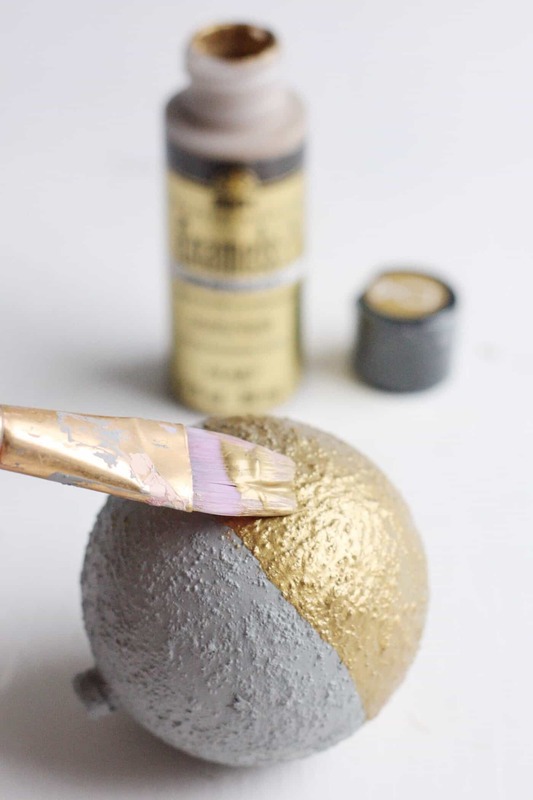 Once the concrete finish has dried completely, paint the bottom of the ornament with gold paint. 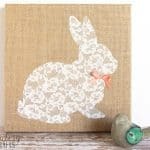 You can use painter’s tape to create a clean line, or just eyeball it. Apply as many coats as you would like until you achieve the density of gold you would like. Let dry completely. 3. Replace the tops, string the ornaments and that’s it! You’re ready to transform your tree! Can you believe that texture? It is so satisfying to get an effect like this with such little effort. And you don’t have to worry about actual concrete weighing down your poor tree limbs. This stuff is light as a feather! Plus, I am so obsessed with the contrast of gold with the concrete. It gives it just the right amount of holiday glam while still being modern, and it’s so gorgeous when the tree lights hit it! What do you think? 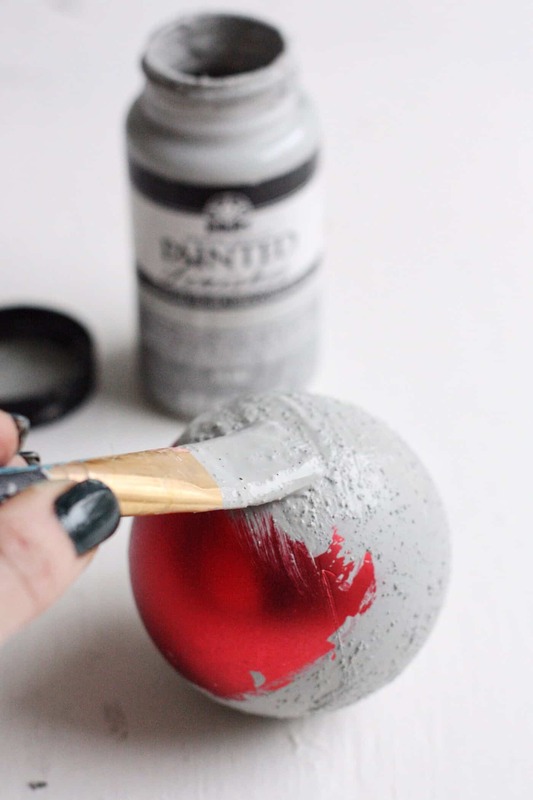 Are you ready to hang some “concrete” on your tree? Go for it! And, be sure to visit us as we blog about style, food, and the things we love over at the Pretty Life Girls! You can also find us on Instagram, Facebook, Pinterest, and Twitter!